As you read many Hoover fh50150 reviews, you will realize that the product sold well in 2016 and continued to do well in the year 2017, 2018 and 2019 too! Hoover vacuum cleaners are successful due to many interesting reasons. Hoover fh50150 is one of the market’s lightest and most reliable vacuum cleaners. It weighs 19 pounds. 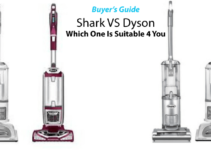 The vacuum is priced below many other primary models. This is what makes the cleaners appealing to everybody. When compared to other rivals from the brand itself, Hoover FH50150 has plenty of cleaning power. 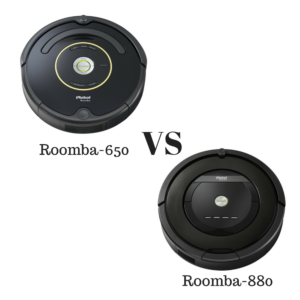 It features a streamlined design that makes operating the vacuum cleaner easy and efficient. Does this vacuum deliver and fall in line with the Hoover fh50150 reviews? Keep reading to know more about this cleaning machine. A key selling point of the Hoover fh50150 would be its SpinScrub Technology. This is a tested and a verified technology. The SpinScrub Technology makes the brush spin at 360 degrees in counter-clockwise This makes clearing the most stubborn and difficult dirt particles easy. Dirt embedded in high traffic regions can be removed effortlessly. SpinScrub offers first-rate deep cleaning. What makes the Hoover FH50150 special would be its removable brush heads. After every vacuum, you can remove the brushes easily. Now, you can clear all debris and dust from the brushes. This makes maintaining the vacuum cleaner easy. Most homeowners find it easy to clean the brushes. Easy to Fill, Empty & Clean with Smart Tank system making emptying and filling easy with no mess, no tools and no waste of time. The recovery tank comes with a quick pour spout. Exclusive SpinScrub Technology 360 degree cleaning surrounding carpet fibers. A multiple brush system only from Hoover. Counter rotating brushes spin, not roll, for constant carpet contact. Brushes are removable for easy cleaning. Hoover FH50150 offers the benefits of hot water cleaning. This is an option that can increase your efficiency and effectiveness in cleaning. The dirty and clean water tanks are carefully separated. This way the vacuum cleaner offers easy changing and filling up with You don’t need to worry if water from both the tanks would mix up. The vacuum cleaner offers a separate mode for rinse and detergent. That way you can decide if you want to wash the carpet with detergent or not. If you don’t wish to use the detergent, just fill the entire tank with water and no detergent. If you have pets, little ones and elders in your home, the Hoover vacuum makes life simpler. You don’t need to worry about soap residue on your carpets. Let’s watch a video about the product? The Hoover fh50150 is absolutely lightweight. It weighs less than 18 lbs before loading it with water. With respect to weight, this machine is definitely a leader in the market. Very rarely would you come across a vacuum cleaner with a rinse/wash selector at this price! This switch makes it simpler to clean carpets with stubborn stains. In fact, you don’t need detergent. Models that don’t have this feature are truly troublesome. Setting up the Hoover FH50150 is pretty simple. Whether you want to assemble or snap the tanks, you can do it in few minutes. Moreover, the brushes are very easy to remove and maintain. Most Hoover FH50150 reviews claim that this model is the easiest to handle in the market. When compared to Max Extract and Hoover SteamVac, the FH50150 is extremely easy to use. This vacuum machine comes with a wide range of hand tools. You will receive a complete assortment of cleaning gears. These gears will help you clean anything and everything. Whether it is a sofa, car mat, car upholstery, stair, crevices or nook, you can clean a wide range of things. The Hoover FH50150 is sold at an affordable price. A major reason behind the fame of Hoover FH50150 would be its perfect, flawless design. The vacuum features a streamlined design where all parts fit perfectly. The vacuum cleaner has a smaller capacity. This would be the flipside of being a lightweight model. Some customers claim that the FH50150 is not of commercial quality. With respect to its build and construction, Hoover could have done better. It is difficult to verify the level of clean water. Once clean water gets used up, you must refill. Unfortunately, it is difficult to predict this time because the tank is dark and not translucent. 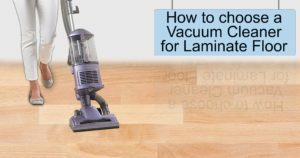 Luckily, the vacuum shuts down the dirty water tank and prevents it from overflowing. Though the vacuum cleaner comes with several brushes, you cannot operate it at different speeds. 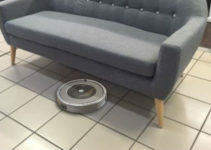 Hoover FH50150 works at a single speed. Most users don’t treat this as a problem. However, some users want the brand to introduce brushes that operate at different speeds. In some cases, you should use only Hoover branded cleaning agents and detergents. This reduces the risks of damage and a poor cleaning experience. 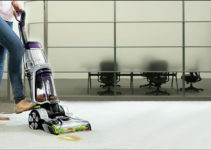 The Hoover FH50150 is a two-tank vacuum cleaner. It is designed especially for cleaning carpets. The vacuum cleaner neatly separates dirty and clean water. The FH50150 features a tank system that will let you choose pure water or shampoo. The “Pure Water” option will help you get rid of detergents and shampoo residue from the carpet. This way your carpets will be clean and never sticky. According to frequent users, the Hoover FH50150 offers an optimal cleaning experience. It reduces the number of times you should pass over dirt. 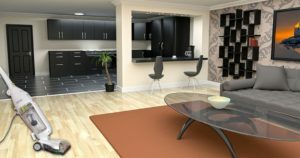 Even if the path behind the furniture is narrow, you don’t need to worry about moving things around! This makes cleaning extremely easy. The Hoover FH50150 is small in size. This is why the unit is simple to install, use and store. Moreover, the vacuum has conveniently positioned controls. It is shipped with hand tools, an upholstery tool and a bag that can be used to carry these tools easily. Above all, Hoover is reputed for its customer service. It responds and resolves customer problems quickly! There are so many reasons to buy and use the Hoover FH50150. This is one of the finest vacuums on the market. This machine is known for its top cleaning performance. Just like other primary vacuums, the FH50150 delivers optimal results. But, it is priced at a lower cost. Homes with pets and children find this vacuum cleaner useful. Whether you are dealing with coffee stains, juice spills or pet poop, the FH50150’s SpinScrub Technology will do the trick for you. A key selling point of the Hoover FH50150 would be its updated engineering and design. It is extremely smooth and convenient to handle. The water tank system is simple to drain and fill. Indeed, this model from Hoover is working miracles for thousands of homeowners. 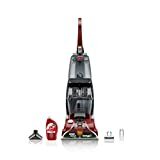 There are overwhelming Hoover FH50150 reviews on how easy and reliable this vacuum is. This carpet cleaner doesn’t suffer any leakage issues. The lid and tank are perfectly aligned. This is why most customers don’t have any leakage problems. The Hoover FH50150 works wonders on plush and Berber carpets. These are expensive carpets that must be cleaned with care! Reviews claim that the FH50150 works perfectly on these surfaces. 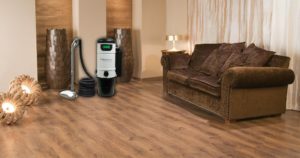 On the whole, the Hoover FH50150 is a perfect choice for customers who want to clean soiled carpets. This carpet cleaner is designed to make your cleaning experience both convenient and easy. This vacuum features a powerful spin scrub technology and a variety of brushes. These attachments will help you clean places that are difficult to reach. As quoted in hundreds of Hoover FH50150 reviews, this is a perfect budget carpet cleaner for you. The machine is handy and lightweight. It will fit into any household budget easily. The tools serve as a bonus for cleaning cars and sofas. Above all, Hoover promises prompt customer support! At any time, you can approach the brand for assistance. This is a major reason behind the fame and demand for Hoover FH50150.